We've already heard rumors that the Marvel Cinematic Universe landscape will be altered forever with Avengers: Age of Ultron, but we likely won't know the extent of this change before the Phase Two sequel arrives in theaters May 1, 2015. Obviously, the villainous Ultron (James Spader) will have a lot to do with what is happening, and we've reported in the past that Robert Downey Jr.'s Tony Stark actually creates Ultron, although his creation turns against him, and the rest of humanity. During a recent interview with Total Film, Mark Ruffalo hinted that his character, Bruce Banner will have a hand in Ultron's creation. While he doesn't outright say that Banner is responsible for Ultron, his comments certainly allude to Banner's role in Ultron coming into power, while confirming that Banner has been living at Stark Tower. "Banner's been living in Stark Tower. They've been working side by side and Bruce has his own lab now. He's doing work that augments Tony's own, which could lead to an experiment going wrong." It's worth noting that we've seen the Hulk do battle with the Hulkbuster armor in the first trailer, although it has never been revealed exactly how this massive fight plays into the story. Is it because Banner upset Stark in the lab? Or vice versa? Mark Ruffalo also added that Banner's relationship with Scarlett Johansson's Natasha Romanoff, a.k.a. Black Widow will grow throughout the sequel. "His relationship with Natasha deepens. There's something similar about the two of them. I see them as lost souls. They're kindred in some ways. He does feel more comfortable with himself. His confidence is getting better. But, you know, that gets shaken. His ability to handle the Hulk really gets thrown into question in this film. The hard part is coming back. Hulk doesn't want to cede his place. It's much harder to come back from being Hulk than it is to get into him." 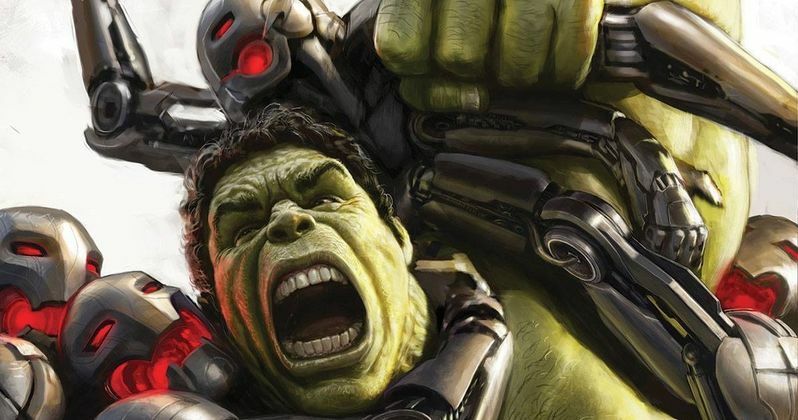 The actor also hints that fans will get to see a much different side to Bruce Banner, as he is engaged in a "battle of identity" between himself and his Green Goliath alter-ego. "I think there's a whole other chapter we haven't seen yet where you find the other nuances within him. The battle of identity going on between him and Banner is all about establishing dominance. The only thing that Hulk is really afraid of is Banner. That's an interesting dynamic." Many fans have commented that this sequel looks much darker than its predecessor, 2012's Marvel's The Avengers. Mark Ruffalo revealed that director Joss Whedon still has plenty of "goofy stuff" in store for the fans. "What Joss is going after is really big. But there's still lots of laughs. There's some goofy stuff. I mean, it's Whedon!"